About Dr. Coimbra Maria Coimbra, MD, specializes in family medicine at Coimbra Family Medical Center. With over two decades of experience, she offers compassionate and quality medical care to her patients in McAllen, Texas. Known for her patient-centered approach, in 2017 Dr. Coimbra was named a Top Doctor in McAllen, Texas for demonstrating clinical excellence while also delivering the highest standards in patient care. Dr. Coimbra believes strongly in educating her patients regarding their conditions and their treatment options. Dr. Coimbra began her medical career in 1993 when she graduated with her MD from the Federal University of Pernambuco in Recife-Brazil. After medical school, she decided to move to the United States to further her education. Dr. Coimbra went on to complete a two-year research program at Southwestern Medical School in Dallas, Texas. She then attended Louisiana State University, Shreveport, where she completed an internship in general surgery. Following the completion of her internship, Dr. Coimbra had a change of heart and decided to switch her medical specialty. She completed her residency in family practice at the University of Texas Health Science Center in San Antonio, Texas. 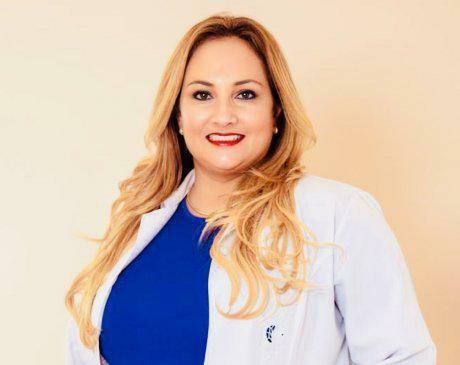 Dr. Coimbra is certified by the American Board of Family Medicine and offers her extensive credentials and experience as a leading physician to families in and around McAllen, Texas.